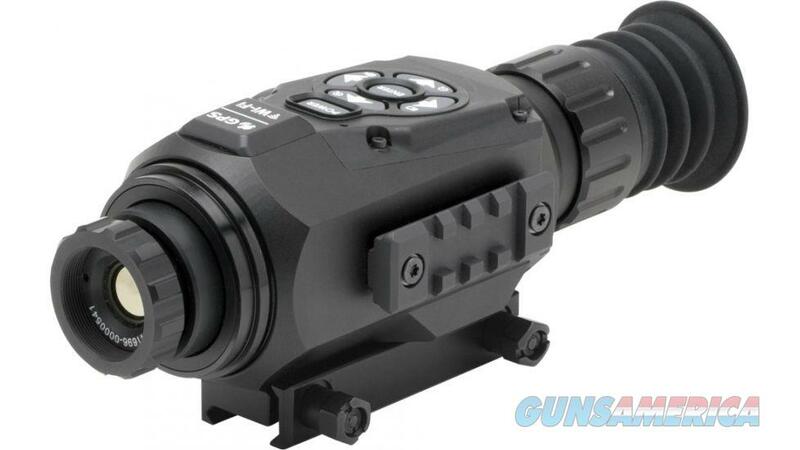 Description: A robust and long lasting unit, ATN ThOR-HD 384x288 Thermal Night Vision Smart HD Rifle Scope is an excellent improvement to nearly any shooter's firearm. These Night Vision Riflescopes are developed to be used for most missions and outdoor activities. Delivering the range and thermal performance most shooters have come to count on, the ATN ThOR-HD 384x288 Thermal Night Vision Smart HD Rifle Scope offers an easy-to-use control system that can operate the unit in essentially any climate and environment. For many years, ATN has led the thermal imaging industry, and the ATN ThOR-HD 384x288 Thermal Night Vision Smart HD Rifle Scope is a great example of their commitment to provide an ideal imaging system with top-rate quality. We, at OpticsPlanet, are excited to assist you in finding the best thermal imaging scope that fits your requirements, and the ATN ThOR-HD 384x288 Thermal Night Vision Smart HD Rifle Scope is a great option for making certain that you have gotten the best quality tool to take out on your next quest. So, if you're seeking top-quality effectivity, the search stops here with the ATN ThOR-HD 384x288 Thermal Night Vision Smart HD Rifle Scope.